Other keynotes included speaker Daniel J. Cole, presenting the emerging challenge of Delirium from the perspective of the American Society of Anesthesiologists (ASA). By addressing drug shortages in the healthcare system, caused by such factors as business decisions, manufacturing problems, and product discontinuation, hospitals can mitigate possible delays in treatment protocol and the increased likelihood of medical errors due to subpar substitutes. Healthcare Technology Leadership Panel – Medtronic’s Chairman & CEO Omar Ishrak was the moderator of the panel, consisting of Dr. Donald Rucker, National Coordinator for Health Information Technology, US Department of Health and Human Services; Ed Cantwell, President & Chief Executive Officer, Center for Medical Interoperability; Anders Wold, President and Chief Executive Officer, Clinical Care Solutions GE Healthcare; Jan Kimpen, Chief Medical Officer, Philips; and Katherine Kay, Patient Advocate, discussing how hospitals are leveraging open data to create interoperability. Pushing Transparency and Aligned Incentives Through Policymakers Panel – The panel, consisting of Larry Smith, Vice President, Risk Management Services, MedStar Health; Aidan Fowler, National Director of Patient Safety, Deputy, Chief Medical Officer England, NHS Improvement, Department of Health and social care; Scott Morrish, patient advocate; and Congressman Harley Rouda, was moderated by former Surgeon General Dr. Richard Carmona, discussed the need for aligned incentives. Delirium Panel: An Emerging Patient Safety Challenge – Moderated by Dr. Michael A. E. Ramsay, the panel, consisting of Dr. Pratik Pandharipande, Professor and Chief of Anesthesiology Critical Care Medicine, Vanderbilt University Medical Center; Lee Fleisher, Professor and Chair of Anesthesiology and Critical Care, Chair Perelman School of Medicine, University of Pennsylvania, ASA Perioperative Brain Initiative; Adrian Gelb, Secretary, Distinguished Professor (Emeritus), World Federation Societies of Anesthesiologists, University of California, San Francisco; Dr. David Scott, Director of Anesthesia & Acute Pain Medicine, Prof. at School of Med, Chair of Perioperative Cogn., St. Vincent’s Hospital Melbourne, Australia, University of Melbourne, Alzheimer’s Association Int. 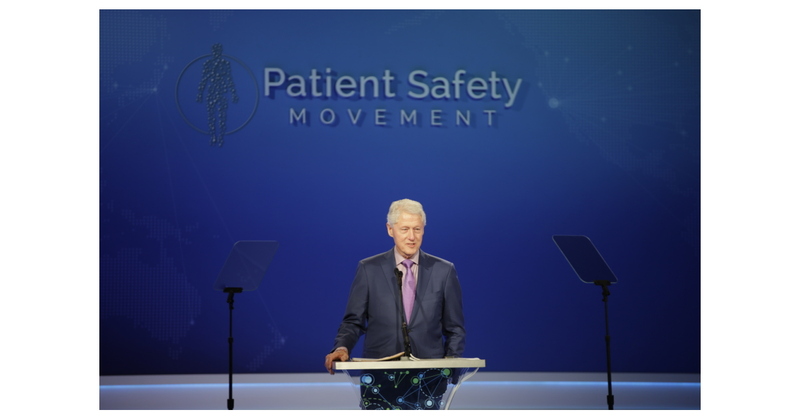 ; Dr. Daniel Arnal Velasco, Patient Safety and Quality Committee Chair, President ESA, SENSAR; and Audrey Curtis, patient advocate, discussed how delirium can be prevented in half the estimated 2.6 million patients affected by it in the U.S. each year. The evening ended with a special musical performance by the two-time Grammy nominee Belinda Carlisle. She shared that this cause is close to her heart as she too has lost both family and friends due to medical errors.